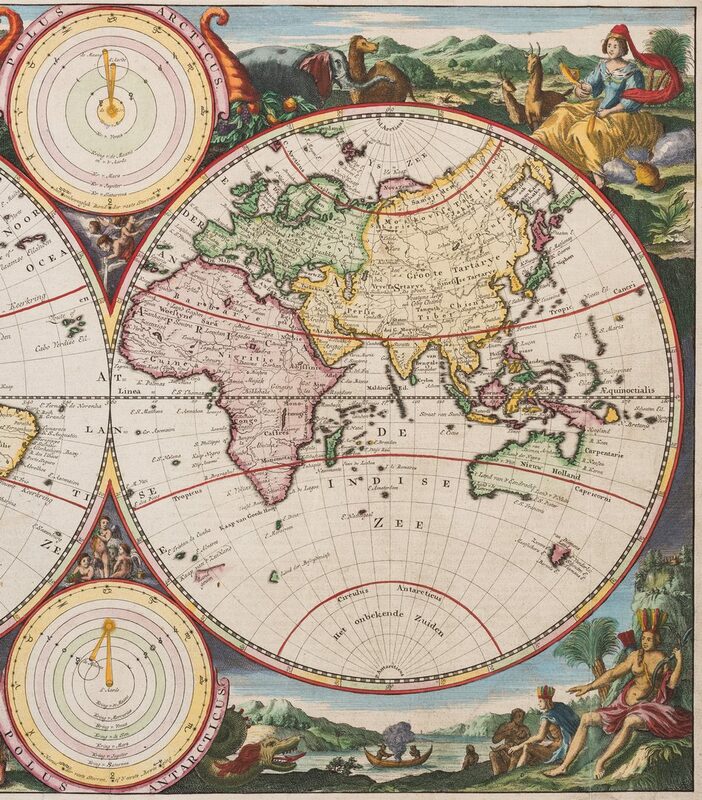 Two (2) 18th century maps. 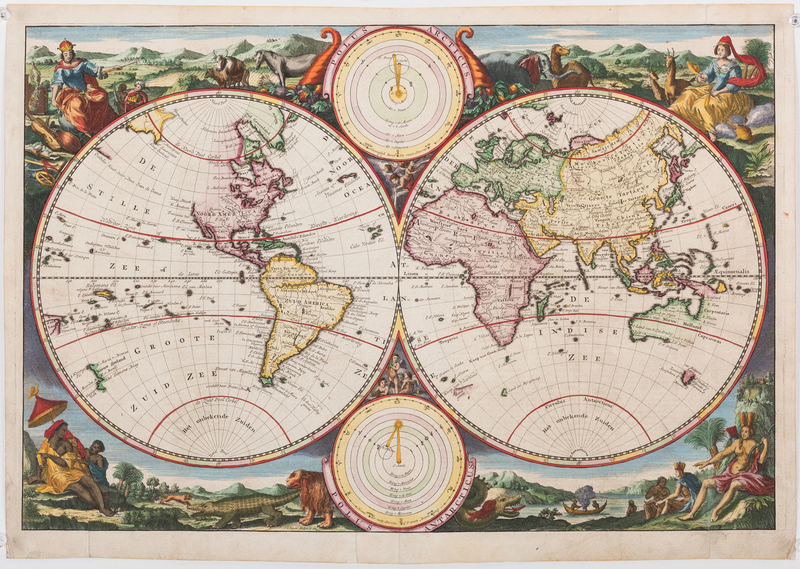 1st item: Double hemisphere world map by Jan van Jagen, published in Amsterdam, 1741. 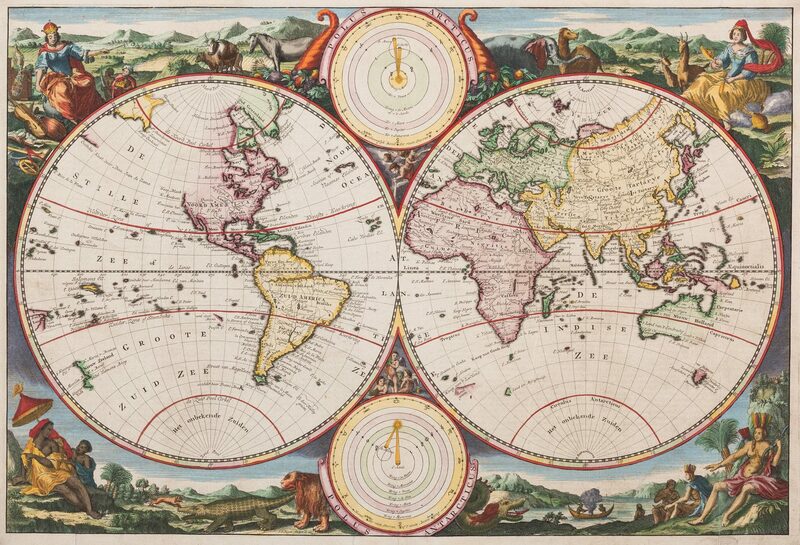 After "Orbis Terrarum Tabula Recens Emendata et in Lucem Edita per N. Visscher" world map by Nicholas Visscher (The Netherlands, 1618-1679), published in a Dutch Bible, 1663. 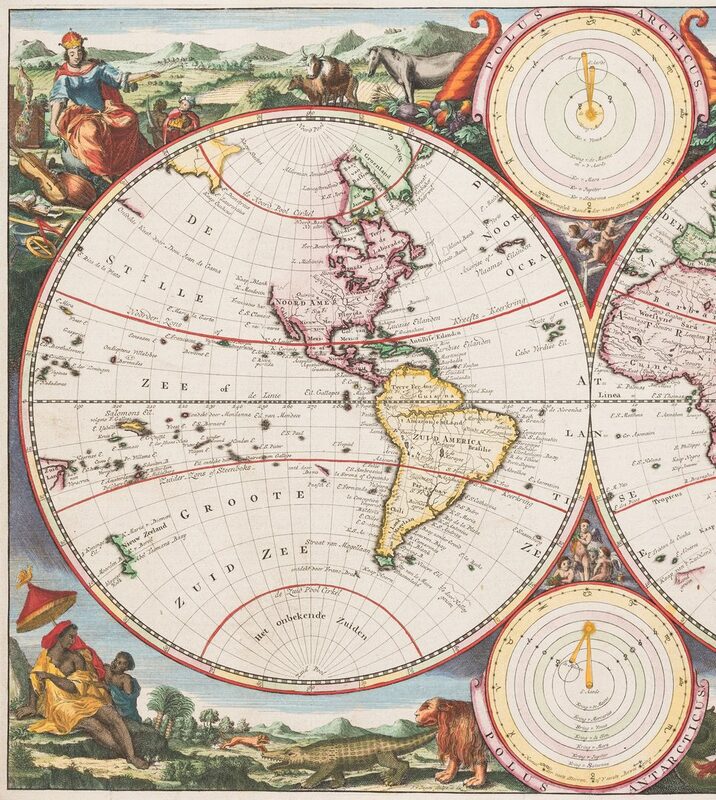 Copper plate engraving with hand coloring depicting the known world with a peninsular California, islands in the Pacific, the Australian coast, and Japan. 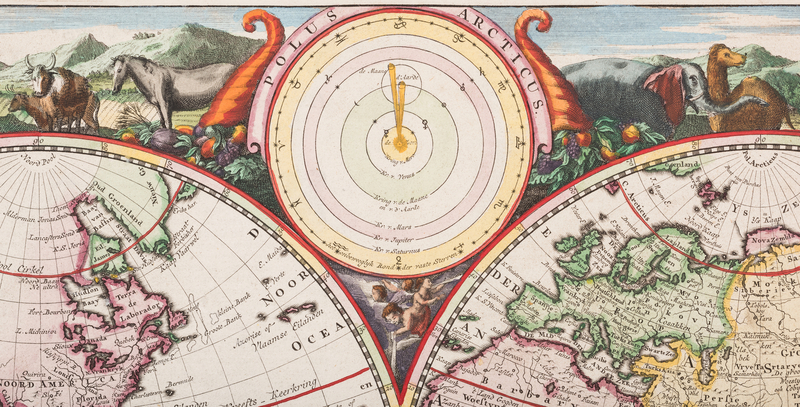 The surrounding scenes are nearly identical to Visscher's with female allegorical representations of the four continents, animals, and cherubs. 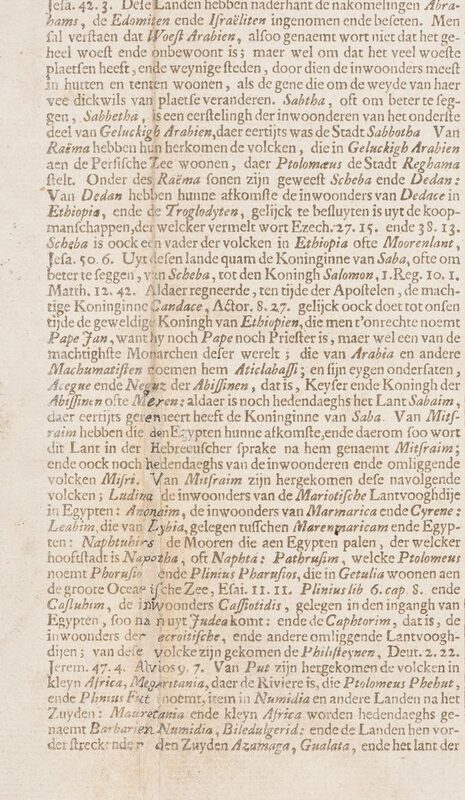 Dutch text pages , en verso. 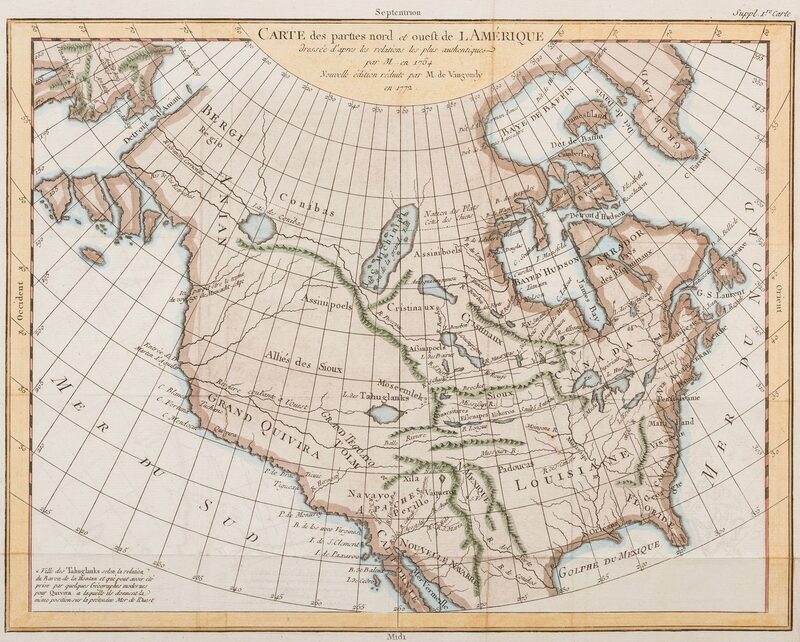 Image – 12" H x 18" W. Plate – 12 1/4" H x 18 3/8" W. Sheet – 13 1/4" H x 18 3/4" W. 2nd item: "Carte des parties nord et ouest de L'Amerique…Nouvelle edition" by Didier Robert De Vaugondy, published by Denis Diderot, Paris, 1772. 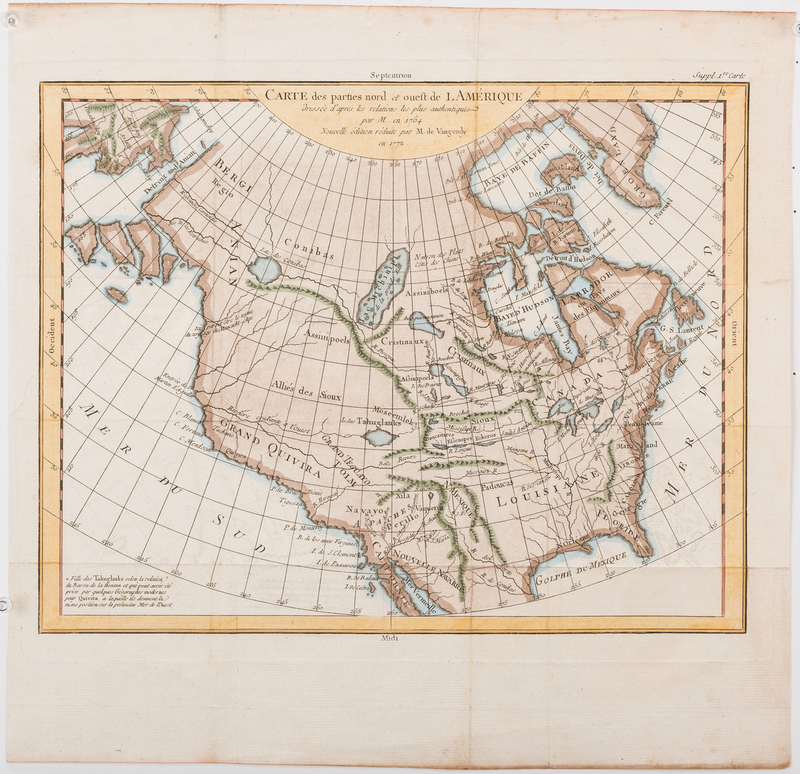 Copper plate engraving with hand coloring of North America including part of Mexico depicting territories, rivers and other bodies of water, and mountain ranged. 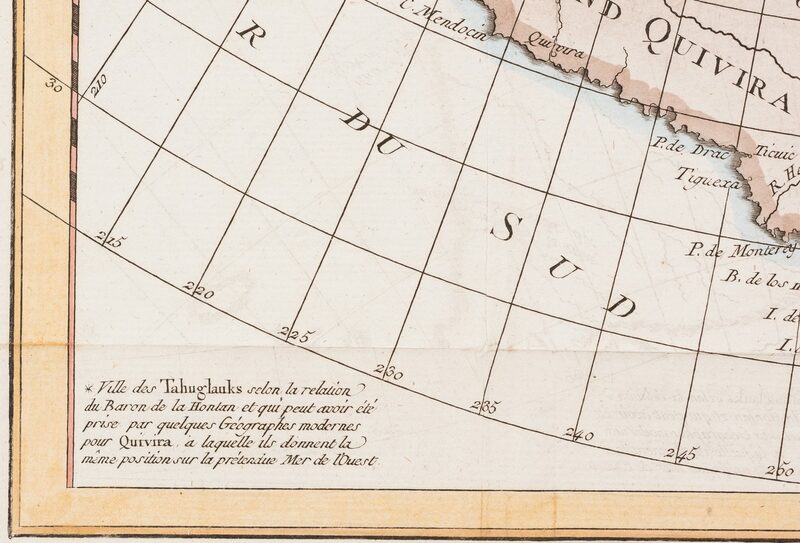 Title, centered above map, notation referring to the "Tahuglauks", lower left. Direction notations centered around outside of map. Surrounded by longitude and latitude lines and yellow and black double line border. 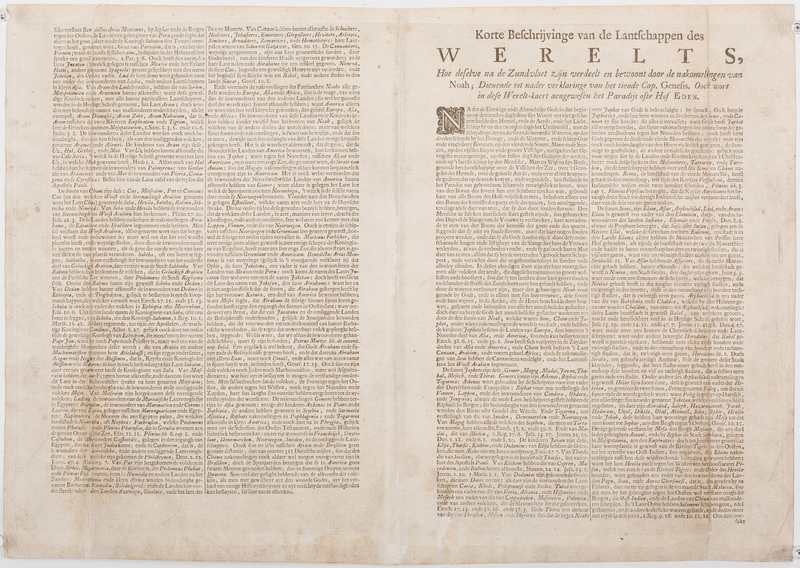 Image – 11 7/8" H x 15 1/8" W. Plate – 13" H x 16 1/4" W. Sheet – 16 1/4" H x 16 3/4" W. Provenance: Private Knoxville, TN collection. CONDITION: 1st item: Overall good condition. Three tears, repaired with rice paper and wheat paste, largest 1 1/4", top and lower edges of sheet. 2nd item: Overall good condition. Two tears, repaired with scotch tape, largest 1 1/4", left and right edges of sheet. 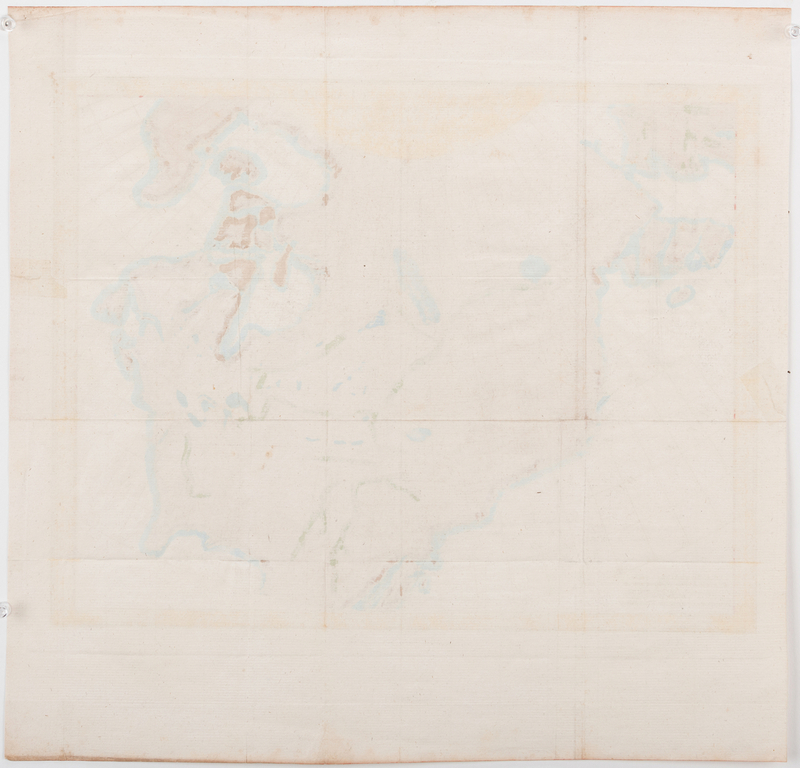 Toning impression of map visible on surface of sheet. 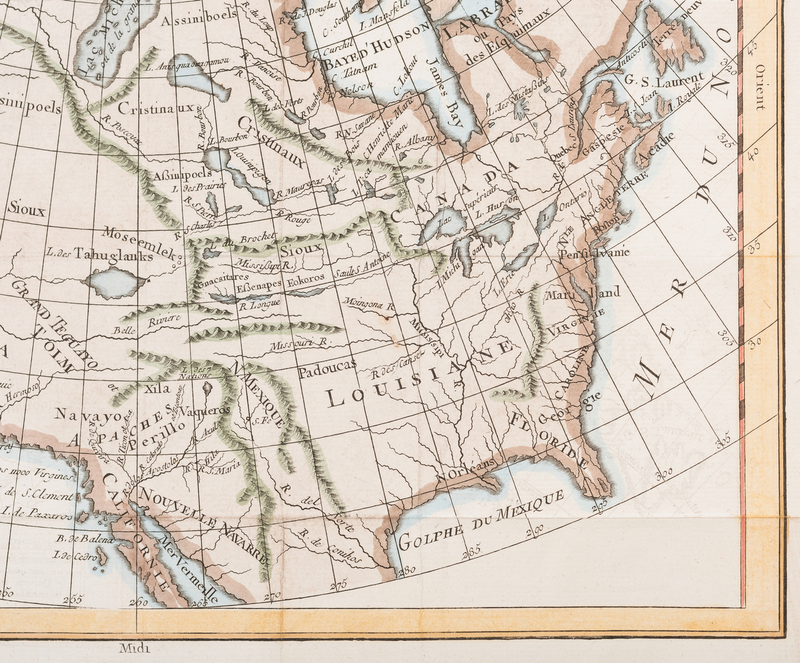 Toning, minute foxing spots, edges of sheet.